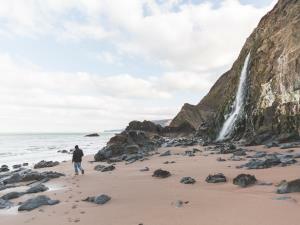 Llwyngwril is a shingle and boulder beach with sand and rock pools at low tide on a very picturesque stretch of the coast. 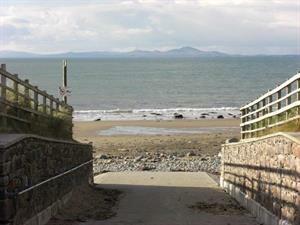 Llandanwg beach is just south of Harlech; the village is famous for its church which stands just a stone's throw from the sea. 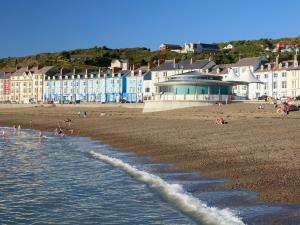 Aberystwyth's Blue Flag North Beach and seafront is a focal point of the town and a favourite attraction for visitors and locals alike. 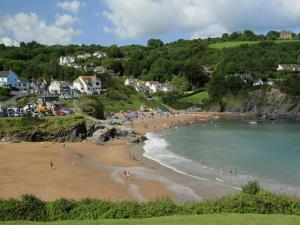 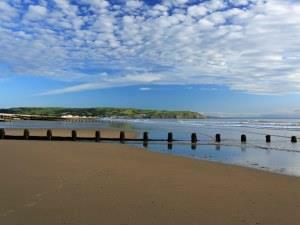 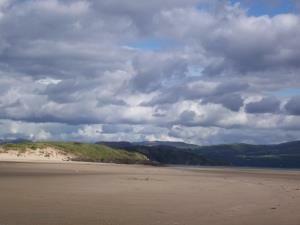 Known locally as Benar Beach, Tal-y-Bont Beach is a sandy beach and good for surfing. 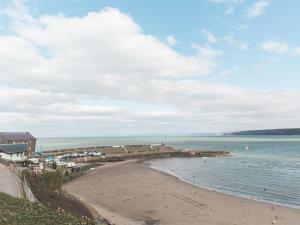 The beach forms part of the large sand system of Morfa Dyffryn which are designated as an area of Special Scientific Interest. 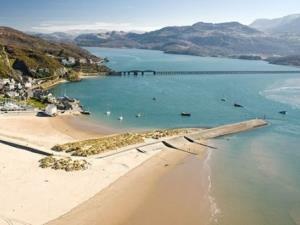 Barmouth is southern Snowdonia’s most popular seaside resort. 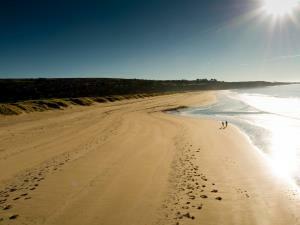 In summer, its big sandy beach is a magnet for visitors, yet there’s so much space along miles of unbroken sands that it never gets overcrowded. 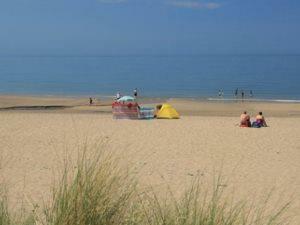 The popular beach of perfect sand and the occasional sand dune extends for miles, from Aberdyfi all the way to Tywyn. 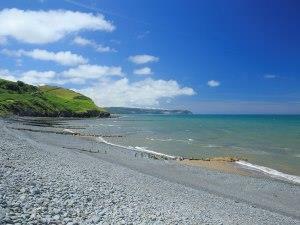 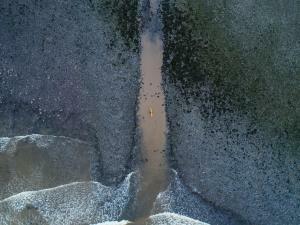 The beach at Llanrhystud is a narrow shingle bank at high tide, but at low tide it becomes wide and sandy. 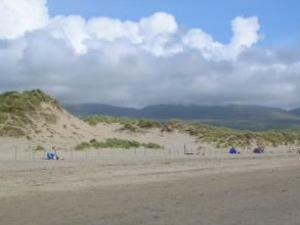 Dyffryn (Llanendwyn) is a long sandy beach backed by an extensive sand dune system between Shell Island and Dyffryn Ardudwy. 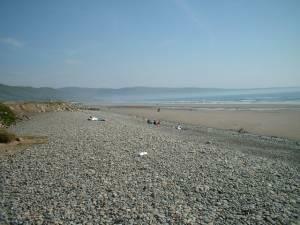 Borth's sandy beach is the longest in Ceredigion. 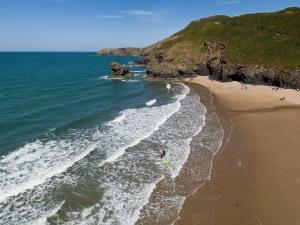 With three miles of gently shelving golden sand this Blue Flag Beach is especially popular with families with younger children and sailboard enthusiasts.